That’s a professional athlete right there. Steve is the man! Keep it up dude! A great picture epitomizing a great guy. When Steve tightens that belt, you can bet there’s gonna be some heavy-lifting going on. Always encouraging others to do their best, he’s a mainstay at CFHSV. A true friend. Rock On! Yoooo STEVE!!!! What a freakin beast! And quality guy! Dude you are so fun to be around! Good dude right there…. and he lifts heavy! Bad to the bone, and an all around nice guy! Our CFHSV photographer sure is good! Incredible Hulk himself. I love working out with Sweatpants Steve. Such a wonderful representation of a true CrossFit athlete. STEVE!!! Always setting the bar high for the masters! Have loved wod’ing with him for years and years! Great guy and just as strong mentally as physically! That dude right there is scary strong. He has been on fire too. I been watching you Steve tree trunk price. You are good as Gold. STEVE!!! On super strong and super nice dude right there. Keep it up Steve!!! Hell yeah Steve! Nice shot! Ain’t nothing scarier than a nice strong man. I’ve had nightmares about Steve. Steve is genuin to his core and if you know him then you think the world of him….I do. Stay after it partner!!! Steve is one of my coaches even if he doesn’t know it. He’s always helping others get stronger while tightening that belt to lift heavy himself. Steve about to crush some mad weight (as always)! Keep killing it man! I’m pretty sure that bar is already bending, and it’s not even off the rack. Steve is as good as they come. Stellar dude, who can throw around a whole bunch of weight. It’s never a bad day when Steve walks through the doors. Keep it up young buck! Big Steve!!! He is as good as they come. But the best thing about Steve is that if someone is trapped in a fire in Huntsville, Steve and his colleagues at the HFD will go get them out. And nothing is better than that. Steve is amazing to watch and all around nice guy. 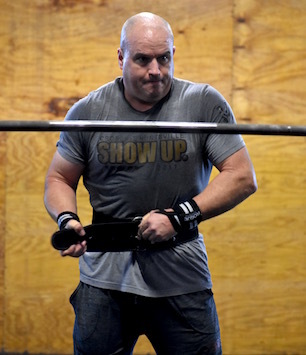 WODs are always better when Steve shows up. 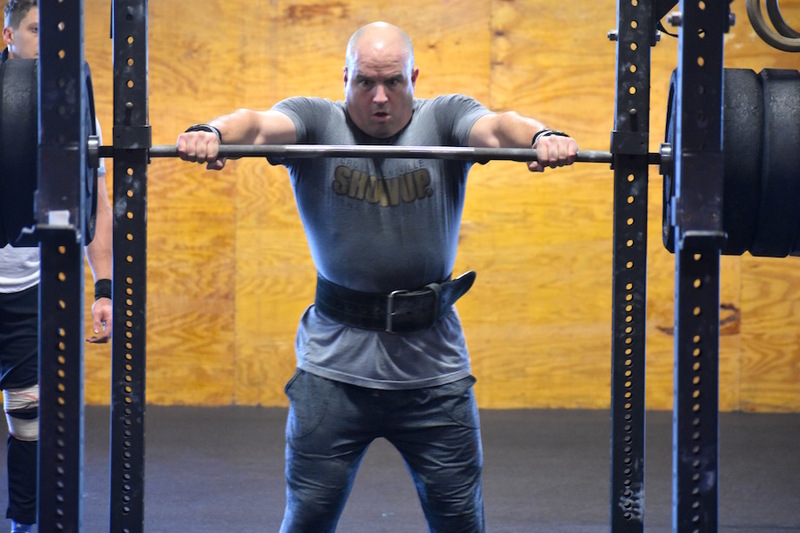 Steve drops in on us now and then at 0500…I once saw him 20 rep 225 (back squat) on one of the bar stands in the back “just to wake up”…way to be, Steve! Steve is as good as they come, super strong and a great friend. Keep up the great work. WOW, Nate, you can make anyone look good! You may have missed your calling as a photographer 😀. Thanks for all the kind words everyone! CFHSV is the Best!! I started this journey 8 years ago when I was 44. Now at 52, I haven’t gotten weaker as I have aged, but have gotten stronger and fitter eight years later! That is due to the programming, coaching, and the awesome people here at CFHSV!!! It is truly a blessing to be a part of this group of people! Steve! Such a kind a good dude. Thanks for making me feel welcome when I first started here and saying hello! Steve no doubt can lift BIG weight, but I recently watched him demolish one of those short, fast wods, too. He’s a great athlete and an awesome person – always making classes better when he walks through the garage doors! “Tsssssss!” The Price is right, Steve! Steve is undeniably strong but He can blow you away on the track when he wants it – he’s all around awesome! There you go Steve! That bar ain’t got a clue of who it’s messing with! Strong is an understatement. Love the fire that you bring every single day. Love those CrossFit kids of yours too! Straight up athletes in your household! Big Steve!!! A great athlete and a great man!